1. 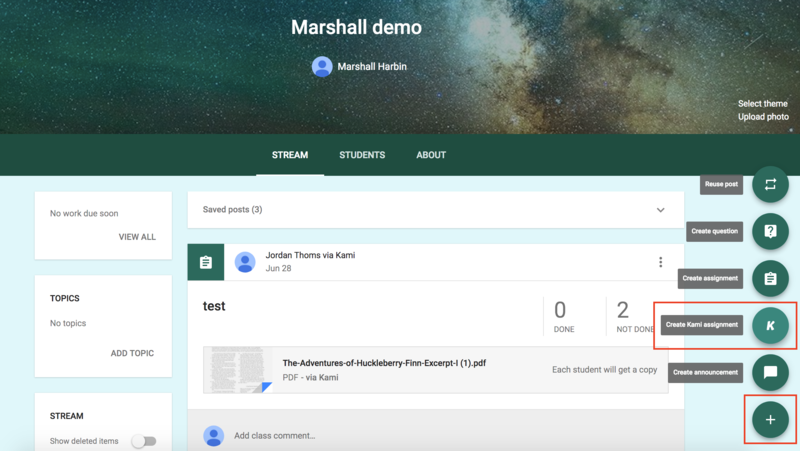 Click the Create Kami assignment button (if using the free version, use the default Google Classroom assign button). 2. 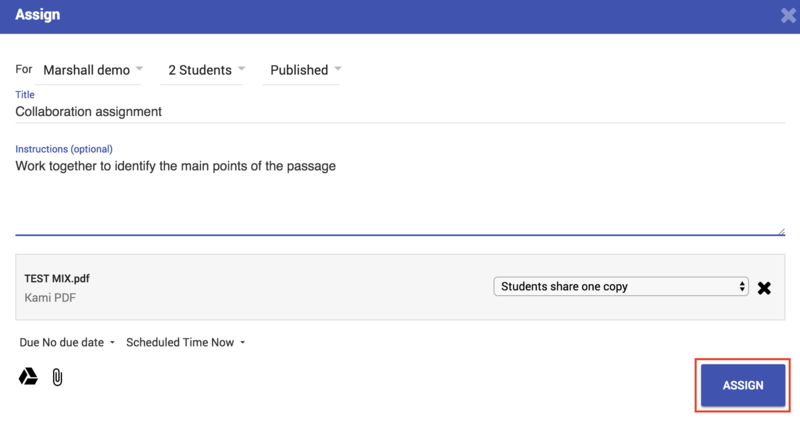 Attach the file and change the editing rights to "students share one copy." 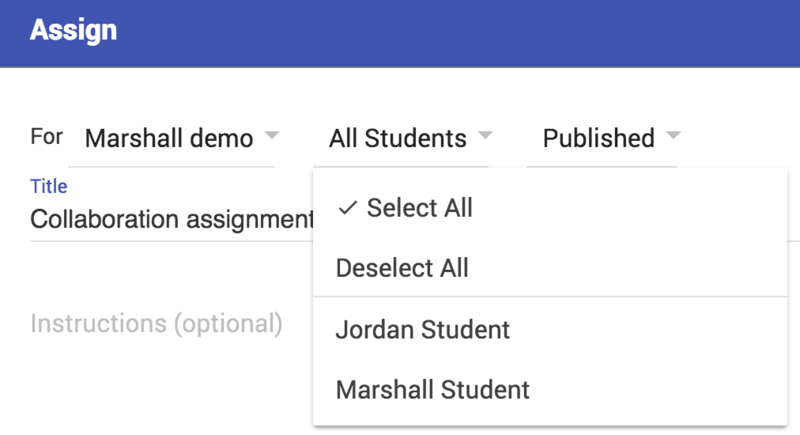 Note: If you want to make multiple groups, create a separate assignment for each group and select individual students from the assignment page. You will need to create a separate copy of the file for each group in Google Drive beforehand. If you do not, they will all be collaborating on the same file. 3. Click "Assign" to push out the assignment.